The consumer-driven health care era has transformed the role of the radiology patient. Today, patients are more informed about their treatment options and what they will have to pay out of pocket. Driven by a desire to obtain affordable health care, patients seek providers that align with their overall needs without compromising care. The evolution of the health care business model corresponds to the development of the payment process. What once was a business-to-business transaction has been replaced by something more complex and difficult to navigate: a business-to-business-to-consumer model. In a business-to-business model, a radiology practice would file a claim to the insurance company, which would then adjudicate the claim and pay the practice for services rendered. In the business-to-business-to-consumer payment model, radiologists send the insurance company a bill to adjudicate. The insurance company may well notify the radiology provider that the patient owes a deductible, which the provider would then bill to the patient. After billing the radiology patient for the deductible, the radiologist has to get that payment adjudicated by the insurance company and only then can the radiologist bill the patient and collect for the services rendered. This model has taken shape due to rising deductibles and copayments. In 2016, covered employees had an average deductible of $1,478 for single coverage, up from $1,318 in 2015, according to data from the Kaiser Family Foundation. Additionally, many covered workers have copayments; the same source indicates that 67% of covered workers have a copayment for a primary care visit. For primary care, the average in-network copayment totaled $24 in 2016. An InstaMed study found the number of consumer payments to health care providers increased 193% between 2011 and 2014. Therefore, radiology practices must employ the right tools to make this process as painless as possible. 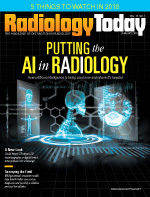 As higher premiums and deductibles propel health care organizations into more consumer-facing interactions, radiology groups understand they can no longer focus solely on the clinical side of care. They must also understand the revenue cycle management (RCM) process and ensure patients have the information they need to follow through on payments. RCM technology can assist practices as they seek to collect payments from their patients while also creating a satisfying experience. Friction is defined as any irregularity or exception to an otherwise smooth payment process. For instance, if a patient calls and complains, it represents friction in the process. It is critical to recognize the amount of patient friction in the process and how it is measured; this depends on how clean the data are, how the carrier processes the claims, and the ability of a patient to pay. When radiologists fail to effectively manage claims and obtain the necessary information from patients to avoid payer denials, they risk creating diversions in the payment process that can harm the patient-provider relationship and create friction. For instance, a radiologist could obtain an inappropriate denial from an insurance company, a situation that raises a slew of questions, including whether the administrative team received all the correct information from the patient. This could be a product of a staff member failing to verify a patient's information or the patient hastily writing down the incorrect information. Whatever the cause may be, friction occurs, a phenomenon radiologists must work to avoid in their RCM process. In cases where inappropriately denied or paid claims are not followed up on, a radiologist is essentially walking away with nothing. Technology can be used to assess and determine potential friction points, including a patient's propensity to pay, the insurance company's likelihood of denying or sending inappropriate denials, and the radiology practice's consistency in relaying accurate insurance or payment information to the patient. However, all of this information must be 100% correct because inaccurate information can completely alter a specific patient's estimated friction. If practices successfully employ technology to determine an estimated amount of friction, they can then fine-tune the best next steps to boost a patient's likelihood of paying. Catering technological solutions to each patient means they will likely use platforms that best suit their needs and preferences. For instance, patient profiles can be personalized based on what patients are most likely to appreciate in terms of collection methods. Millennials may want a text telling them to pay online, whereas a 70-year-old patient may want to receive a text because their grandkids are texting, but they may also want to handwrite a check and drop it in the mail. • Individualized platforms: Through this technology, the payment process becomes easier for patients and will likely translate to a higher propensity of paid bills. As the industry continues to trend toward the consumer, radiology practices cannot forgo the importance of minimizing friction, particularly because value-based outcomes and patient satisfaction scores dictate payments. • Eligibility verification: Technology can also minimize the likelihood of a denial due to inaccurate or incomplete information. The ability to compare a claim with a patient's policy information to ensure there aren't any discrepancies that would prohibit a provider from receiving payment in full is key to a seamless transaction. Additionally, conducting eligibility checks and verifying statements prior to sending those to patients can also reduce friction. In summary, a healthy blend of customer service and technology can help radiology practices avoid friction that impedes a successful payment process. Radiology practices that fail to prioritize consumers will fall behind their competitors, both in terms of reputation and finances, as patient satisfaction is a core component of the value-based health care era. Letting the patient billing experience fall by the wayside may cost radiology practices significant amounts of money, which is where an RCM partner comes into play. With an increase in high-deductible health plans, patient-focused care is here to stay, and radiology practices can and should prepare to thrive in this landscape. — Tom Herald serves as senior vice president, radiology with Zotec Partners, a provider of radiology revenue cycle and practice management services. He is specialized in radiology and radiology billing and oversees radiology client service nationwide for the company and its clients. He is a member of the Society of Interventional Radiology and serves on the coding and economics committee as well as serving on the programs committee of the Radiology Business Management Association. He can be reached at therald@zotecpartners.com.